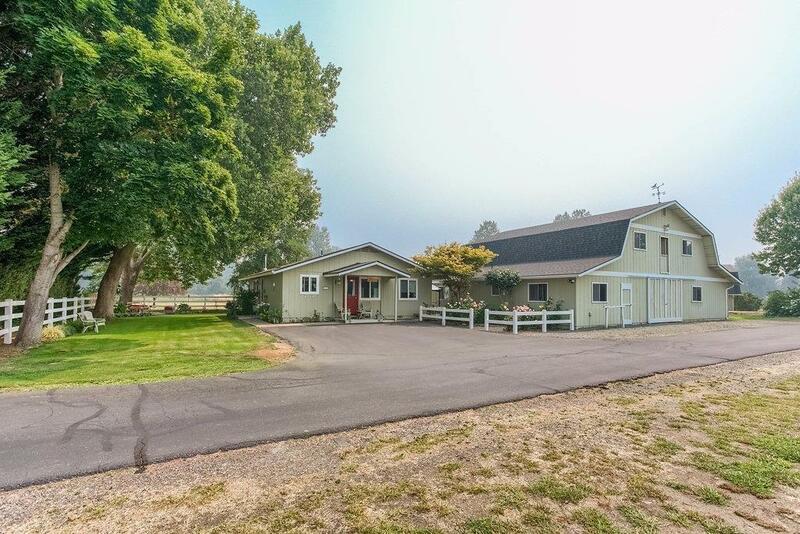 Fabulous river front mini ranch on 8.01 acres with gently sloping lawn to the banks of the World famous Rogue River. The main house contains 5206 sf with 5 bedrooms and 3-1/2 baths. 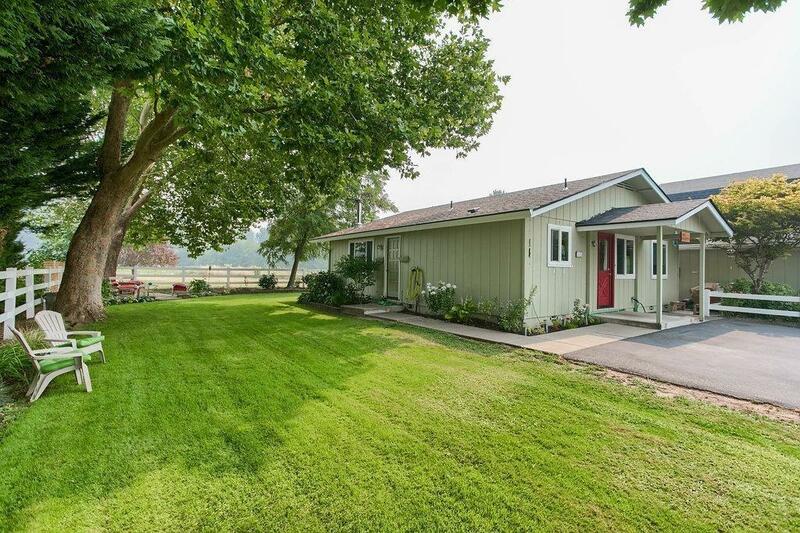 The property includes a second residence, well-suited for family, friends or ranch foreman almost 1,000 sq. ft with 2 bedrooms, 1 bath. Large 54'x40' barn with 3 stalls, machine shop, tack room, bath PLUS a 30'x42' shop/garage for all the tools or hobby needs. Five flooded irrigated acres, fenced and cross-fenced for livestock, a fenced garden with raised beds, apple, cherry, peach and pear trees. 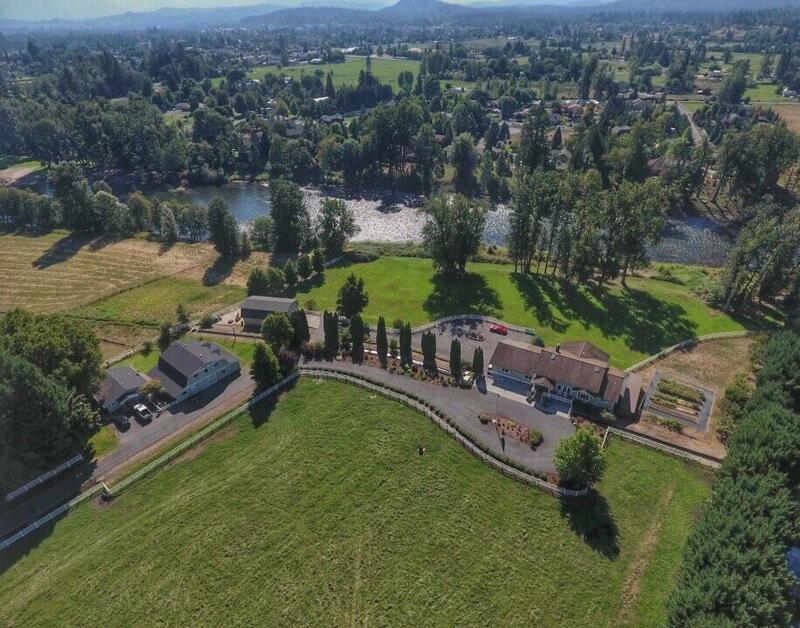 A paved driveway leads to 2 separate circular driveways & gorgeous manicured grounds. Property sits behind gated entrance. The grounds & gardens are kept luscious from a good flowing well. Rural country setting just minutes to town.